Three years filming of National Park Krka, only at night - the result is an amazing time lapse video! - Frankie & Mary | FM Apartments in Split, Croatia with beautiful sea view. Three years filming of National Park Krka, only at night – the result is an amazing time lapse video! 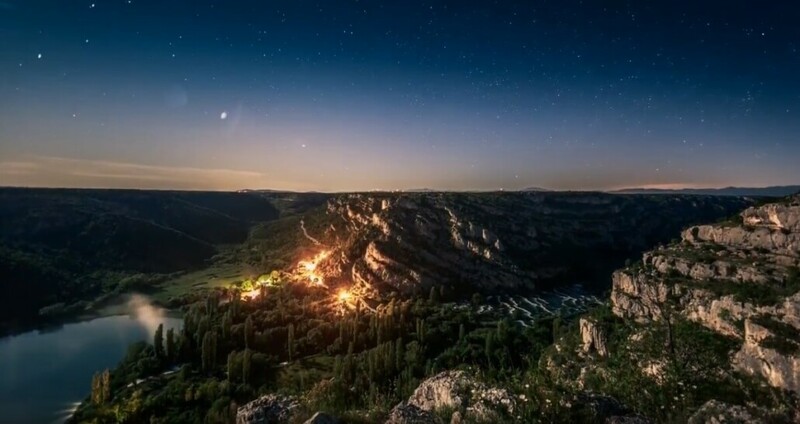 Even 220,000 night photos of National Park Krka shoot photographer Mario Romulić in three years for the purposes of making this video called “Nocturno”. Time lapse technique shows all the beauty of this National Park. In the film is used about seventy thousand photos, and the material was filmed in all seasons for three years, while for the editing and post-production Mario spent even six months of work. -It is interesting to point out that all of the photos are taken at night, by using exclusively the Lunar light, in order to show the river Krka, unburdened itself in silence, under the cover of night, illuminated by the stars. In it is the cruel debris and life-giving water are joined together in a harmonious scenes that leave you breathless. This video encourage the lovers of nature and the Krka, and all future visitors to National Park to love it even more. National Park Krka this week celebrates the 32. birthday. The authors of the promotional videos are Mario Romulić and Dražen Stojčić, while Ana Rucner is the author of soundtrack performing at cello. Otherwise, the time lapse is a technique of obtaining the video generated from a series of photographs taken at a particular interval that gives the impression of accelerated the flow of time. It takes twelve minutes of video to get twenty-four night photographs in the time lapse technique that result in one second of final video. Amazing stuff! https://www.fm-apartments-split.com/wp-content/uploads/2018/01/nation-park-krka-time-lapse.jpg 636 1199 zoran http://www.fm-apartments-split.com/wp-content/uploads/2018/11/fm-apartments-split-acommodation-logo.png zoran2018-01-26 19:37:112019-01-17 09:02:34Three years filming of National Park Krka, only at night - the result is an amazing time lapse video! Phase 1 Lineup for Ultra Europe 2018 announced!